As a recent grad of the Digital Mums programme, I know how hard this team of flexi professionals work to launch the careers of Mums of all shapes and sizes via the world of Social Media. 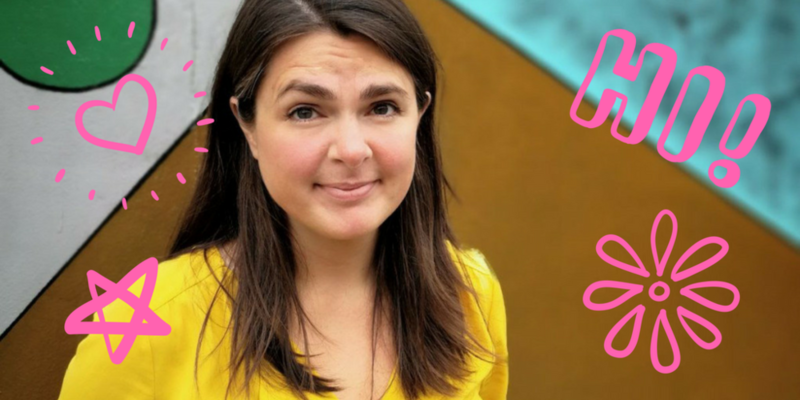 We were lucky enough to grab Nikki for our quick-fire flexi questions to tell us how she sees it...did you know that Digital Mums have just launched yet another fab course for Mums who need a tech refresh too? It's called Digital Retox and you can check it out here. I’m Nikki and I live in East London with my gorgeous French Bulldog, Rolo. 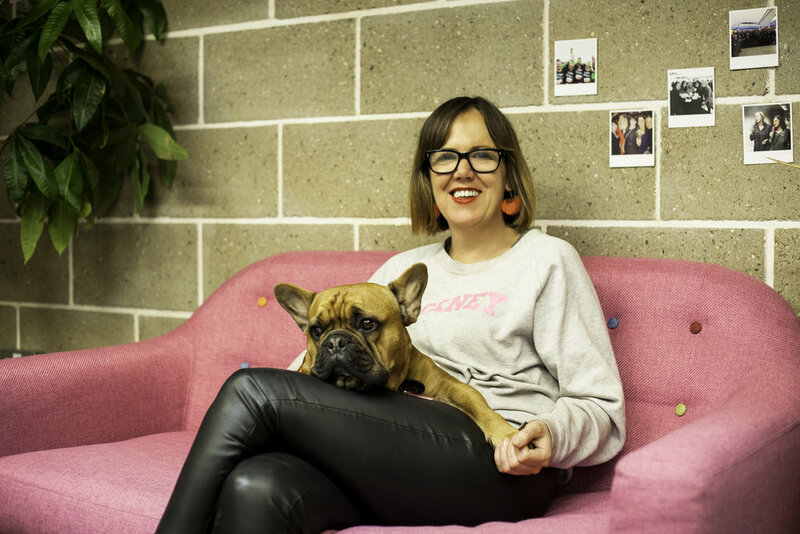 I’m also co-founder of Digital Mums, which my brilliant work wife, Kathryn Tyler, and I set up to help mums find rewarding and flexible work that they could sync with family life. What’s your flexible working purpose? Our goal at Digital Mums is to help women return to the workplace, hustle for the roles - and pay - they deserve and make positive changes in their current careers. We empower women with flexible work - or #WorkThatWorks as we call it - by building digital and workplace confidence on our Digital Retox course and getting mums job-ready in a flexible career on our vocational Social Media management programmes. What encouraged you to start your flexible working journey? Both Kathryn and I lost our dads when we were younger and saw our mums struggle to find rewarding work they could do around childcare. With 54,000 mums forced out of their jobs each year because of maternal discrimination, we realised things hadn’t moved on that much despite the technological changes meaning working in an office 9-5 was no longer necessary - or even fit for purpose. With Digital Mums we’re trying to readdress that balance. We’ve now trained over 1,500 mums with 4 in 5 of them going on to find flexible work thanks to our training. What’s your top tip for those seeking flexible work or those who need to ask for this at work? Go in with a plan and show how your flexible work proposal can benefit the business too. And always ask for a trial. Very few employers can refuse a trial and by the end of it you will have the chance to show how your more flexible working pattern has had no effect on the way you work. More than likely you’ll actually be able to prove how its helped productivity! We actually made a short video here to show how to ask for flexible working - you might recognise some of the people in it! Register here to attend our National Flexible Working Day on 12th September to join in the conversation around flexible working, see how it works in action and talk to business' who are doing this already. If you can't attend in person, why not join in online, posting your comments and questions (and we'd love to see your pictures too) using our hashtag #LetsAllFlexTogetherDay - see you there! Diane Lightfoot joins us for #LetsAllFlexTogetherDay 2018! We're delighted to have Diane join us for the launch of the National Flexible Working Day 2018. As the CEO of the Business and Disability Forum, she has a great depth of expertise to add to ur Flexible Working panel on the day and tell us why Flexible Working really should be for everyone. Tell us who you are and about your role? I’m CEO of Business Disability Forum, a not for profit membership organisation and registered charity which exists to support businesses to recruit and retain disabled employees and serve disabled customers. Ultimately, our mission is about transforming the life chances of disabled people as employees and consumers. As CEO, I lead a team of really passionate, creative people who provide practical advice and support to our 300 Members and Partners via our Advice Service, Training, Events, Resources and consultancy and who lobby on key policy issues. I’m also lucky enough to work closely with our member and partner organisations – who include a huge range of household names and together employ 15% of the UK workforce – to create tools and campaigns for change. 2. Why do you feel that flexible working should be for all? One of the top topics – and frequently asked questions – to our Advice Service is workplace adjustments; what they are, how to make them and what options are possible. Whilst people tend to think of pieces of “kit” when they think of adjustments, one of the simplest and most impactful adjustments in improving the experience of disabled employees is flexible working and indeed it is the most common adjustment in the UK. Flexible working means that people can avoid travelling in rush hour, if that causes stress or anxiety for example or if it is difficult to accommodate a wheelchair on a packed train. Having the ability to work remotely can also be very helpful for example for people with energy-limiting conditions who also might want to work a split day to manage energy levels. Of course, flexible working can benefit everyone and if it is available to all you reduce the need for people to have to ask when they might not want to tell you why they need it, whether that is because of a disability or caring responsibilities, for example. It also reduces any possible resentment around “special treatment” for some and not others. 3. Have you seen any benefits of working flexibly to date? We know that flexible working patterns have been the difference between employees staying in work and not going back to work. We also know that employees enjoy work more if they can work flexibly – it can create a better work-life balance and enable people to be not only a better employee, but also a better partner, parent, etc. Flexible working also fits with a focus on outcomes and on what you need done rather than being prescriptive about how and when something should be done. Flexible working gives employees the space to figure out how best they can achieve those outcomes – and if you focus on the outcomes rather than process then people will have the freedom to work in the way that makes them most effective and most productive – and that’s good for the business too. 4. What’s your top tip for businesses who are yet to implement this practice? The top tip for businesses is simply to try it! 5. What will you and your company be doing to support National Flexible Working day 2018? I’ll be supporting it by speaking at the 923 event on 12 September and we will use it as a hook to continue to promote the benefits of flexible working for disabled employees. Joeli needs no introduction really....but if you haven't yet heard of Pregnant Then Screwed then it's vital that you have a read below! Joeli campaigns hard for transparency in business when it comes to Flexible Working and is busily working away on the new 'Pregnant Then Elected' project to support more mothers to start a career in Politics. What a fabulous lady! Find out more on her website here. Hi, I am Joeli, I'm a campaigner and writer who spends a ridiculous amount of time waxing lyrical about the motherhood penalty and how our traditional workplace is shafting mothers. I set up the pressure group, Pregnant Then Screwed in 2015 after I was sacked by my employer the day after I had informed them I was expecting. My employer was a children’s charity. Since then Pregnant Then Screwed has gone from strength to strength; we have a free legal advice line, a mentor scheme which pairs up women who have been through an employment tribunal with a woman about to go through the same process, a flexible working helpline and we run our UK Festival Of Motherhood and Work - Pregnant Then Screwed Live - In Manchester and London every year. 2. What’s your flexible working purpose? We have been campaigning for the Government to force companies to report on how many flexible working requests are made and how many are granted. We believe this transparency will force companies to rethink their attitude to flexible working. We are also keen to see companies adopt job shares as standard and we would like to see MPs be able to work as a job share - Parliament should be leading the way in terms of flexible working but it is not. 3. What encouraged you to start your flexible working journey? When I started Pregnant Then Screwed I heard from so many mothers who had been forced to quit their job as their employer refused to be even slightly flexible. Employers were making it impossible for mothers to balance being a parent and their professional obligations. Some women just needed 30 minutes of flexibility to make it work but their employers were so stuck in their ways they refused, forcing a new mother to be unemployed. Alongside this I was reading report after report that showed implementing flexible working had a positive impact on productivity and profit. It made no sense whatsoever, employers were shooting themselves in the foot and the result was mothers being out of work and struggling to make ends meet. 4. What’s your top tip for those seeking flexible work to ask for this at work? Try and solve the problems for your employer. Put yourself in their shoes and then work out what they will see as the challenges so you have an answer for everything. Also, if they are reluctant, suggest a trial.